Along the powder soft shoreline of the Gulf of Mexico, Florida’s panhandle is home to the stunning Emerald Coast. This piece of paradise stretches over multiple cities with some of the most beautiful white sand beaches and a variety of attractions that make it a blissful vacation spot. 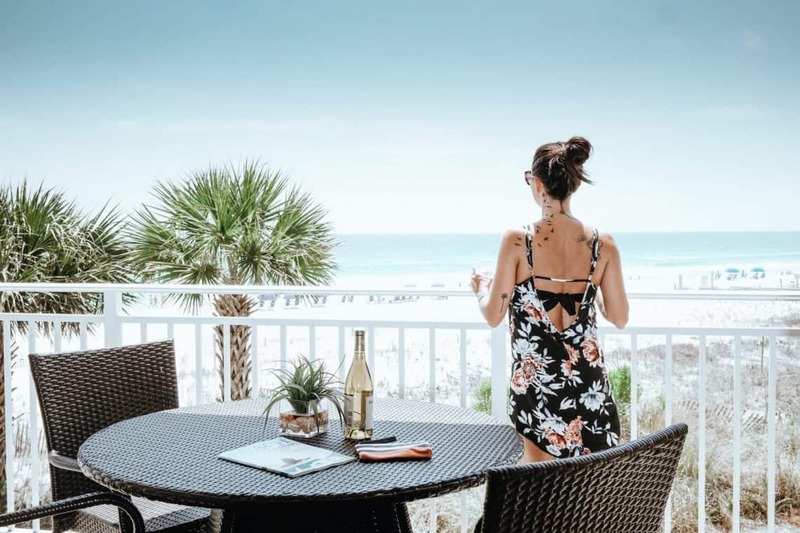 Fort Walton Beach and Destin are two of the major cities within the Emerald Coast, and they are packed with activities for beach loving vacationers. Here are the best spots to help you make the most of your Emerald Coast visit. If you are going to vacation on the Emerald Coast, you have to find a room that overlooks the water. That is pretty much a MUST. 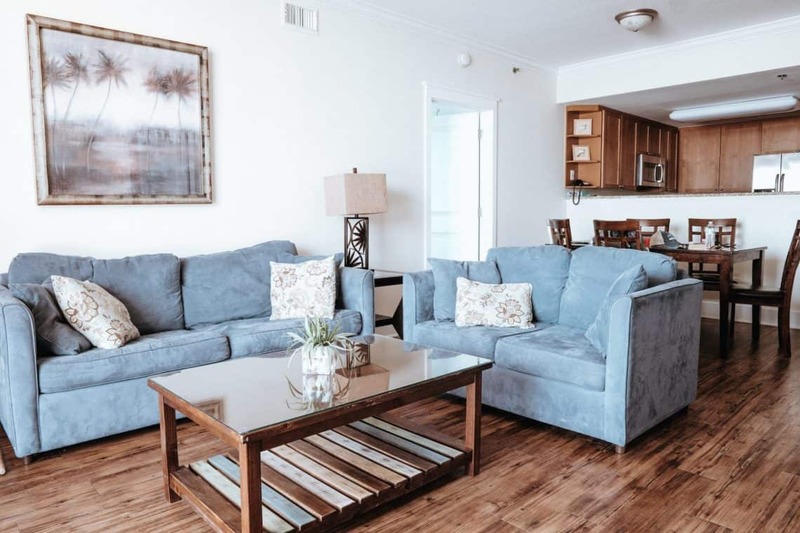 The Wyndham Vacation Rentals Waterscape resort in Fort Walton Beach has beachfront condominiums angled to capture maximum views of the Gulf of Mexico with floor-to-ceiling glass doors and windows to take in all of the gorgeous sights. 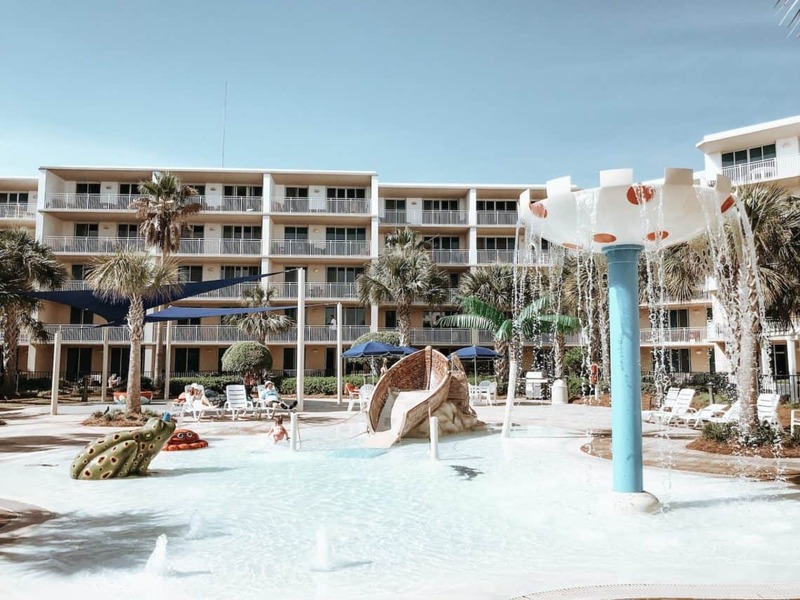 Guests can take advantage of the split-level courtyard where there are two hot tubs, grills and tables for a delicious cookout as well as a playground for the kiddos. After a night of grilling out, go for a stroll down the boardwalk (handicapped accessible) to the beach where you can catch a beautiful sunset. Waterscape also has three swimming pools, a lazy river, and a waterfall for optimal cool down after a long day on the beach. There were days when we never left the property and were perfectly happy, after all, we were basically living on the beach – our happy place. We loved the “just like home” feel of our 3 bedroom unit. With a full kitchen and dining room, we were able to stay on budget by stopping by the nearest grocery store and grabbing our favorite breakfast, lunch and dinner staples. We loved that we could also pack light and take advantage of our in-unit laundry room, which meant I had room to pack the more important things – like shoes. And as much as I love my bestie, after a long day of play, we both looked forward to retiring to the sanctity of our own quiet bedrooms to have some much needed me time. The Track in Destin is a playground for adults and kids alike. A variety of Go-Kart rides will keep everyone busy from the family track to a slick track and even a track just for the little ones. Enjoy some fun on the bumper rides including the Blaster Boats and Bumper cars or let those wild ones run free on one of the many kiddie rides. There is also miniature golf, an arcade and rides all for adults. 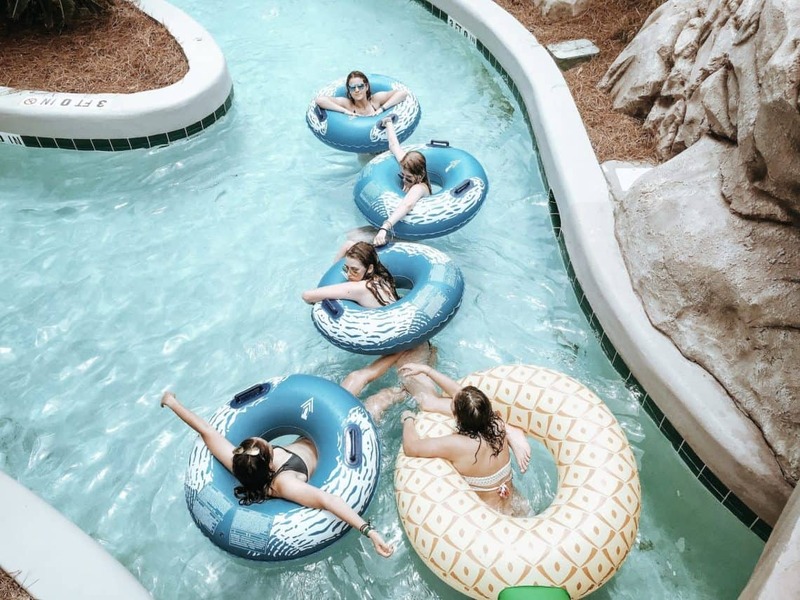 With all day entertainment, it is the perfect place to hit up when you need a day away from the beach. Okaloosa is a barrier island between Fort Walton Beach and Destin, and it is where visitors flock to enjoy spectacular beach time. 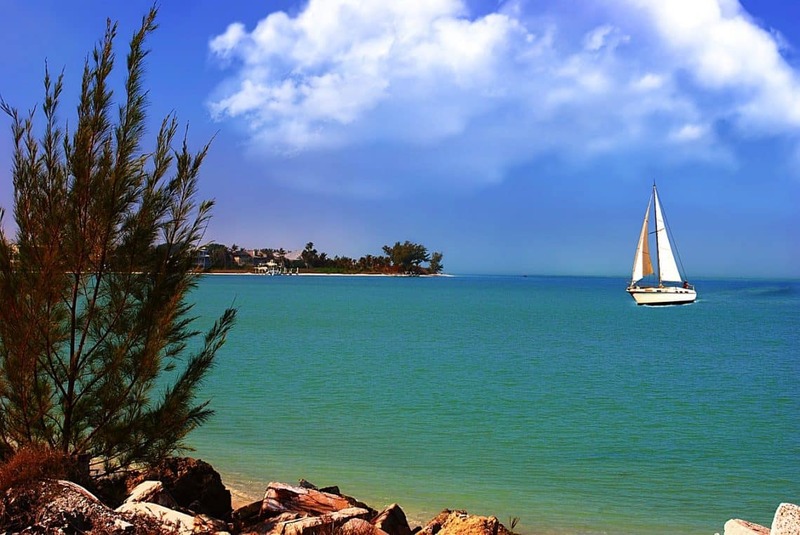 The island has some of the most pristine beaches in Florida with plenty of watersports available to enjoy all day. 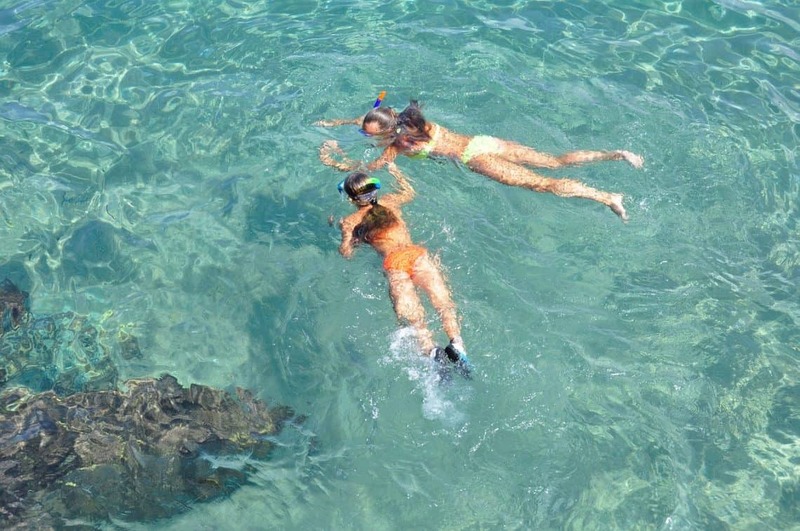 Take a swim with the dolphins, snorkel in the sparkling waters and even try parasailing. There is also beach volleyball in the silky white sands and the chance for some exotic fishing off the massive pier. You can even catch the world’s oldest operating live marine show with adorable sea lions so cute you will fall in love with them. Destin is known as the luckiest fishing village in the world, and the fishing museum captures the development of the area through detailed exhibits starting with early Indians to present day. Take a guided tour or even a scavenger hunt through the many locally caught mounts, and learn about the long history of this fishing village and the wide array of marine life that call it home. Have you ever wanted to build an epic sand castle, but you just don’t have the skills? Not anymore! 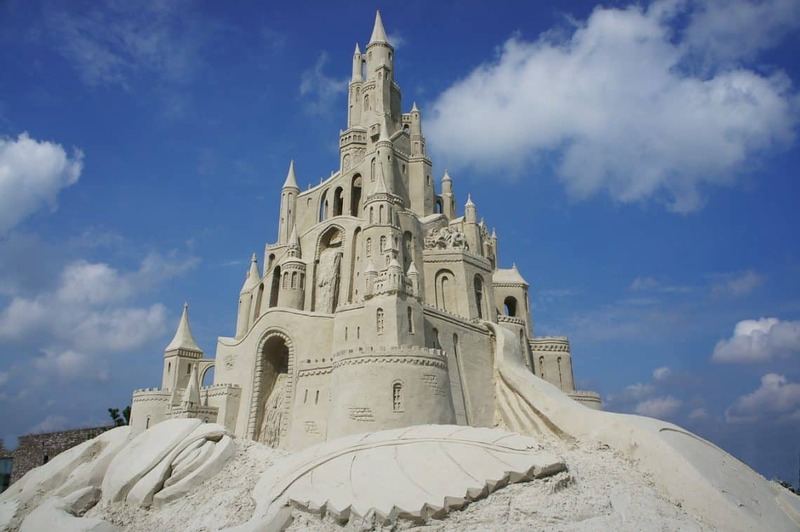 You can actually go for Sand Castle building lessons in Fort Walton Beach. Call today to schedule a meeting with your own sand castle coach. The Destin Harbor Boardwalk is where you need to go to do your souvenir shopping. From the gift shops to the restaurants, the boardwalk is always packed with activity and the perfect spot to explore the wide array of tours and adventures you can do in the area. If by some rare chance you find yourself bored in the Emerald Island, visit the boardwalk, and you will be able to find exactly what you are looking for. 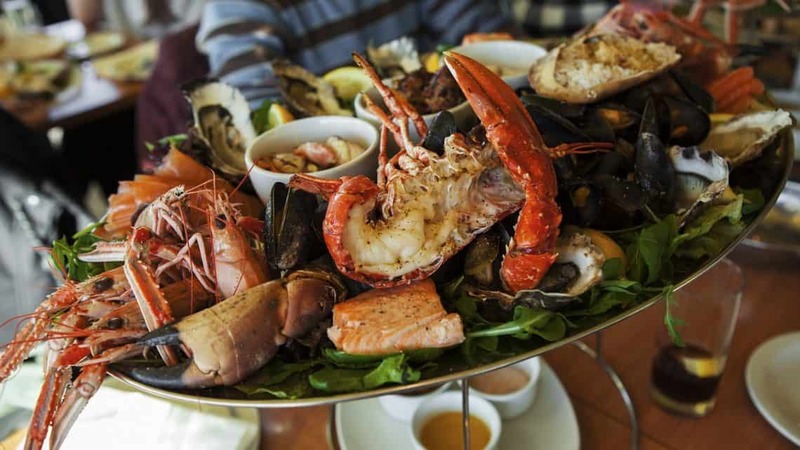 As the original Waterfront Crab Shack, this family owned restaurant is dedicated to providing its patrons with the best and freshest seafood while enjoying the sparkling ocean sights. An evening on the outdoor deck with an order of fish tacos is probably one of the best ways to refuel on vacation. Open for dine in or take out, Stewby’s is known for its incredible gumbo and signature “samwiches” made from the freshest local bought seafood. They even have gluten free options! Grab a fried fish of the day sandwich and get back to the beach. This award winning steakhouse started in Louisiana and has been around for over 50 years. The mouthwatering steaks and creamed spinach, from Ruth’s own recipe, are what have kept this restaurant going, but now they have also expanded to delicious seafood dishes as well. Ruth’s Chris Steakhouse is the perfect place to eat to your heart’s content. Oh Fort Walton and Wyndham Vacation Rentals Waterscape, you’ve earned a special spot in my ❤, and a top spot on my family travel recommendation list. I can see why so many people come back here year after year! Sad to be leaving so soon, but looking forward to visiting again with my family. Til next time! This is the reason why Florida is such a place, it’s beautiful. The Sand Castle lesson is quite interesting, I hope to learn it somehow.